Ever felt as though your otherwise unbeatable fragging skills were being held back by your computer? After all, one's computer is only as fast as it's slowest component and this of course includes the ever so important mouse device. For a fast moving game, it's imperative to be able to act quickly when the need arises and this is exactly where a gaming mouse comes into it's own. So you say, “Show me the way to go. How about Logitech? What about Razer?”. In this review, we're going to say, “not necessarily”, by moving away from the two brands that are steadily duopolising this market segment, and investigating a product from a relatively recent brand on the block. The Roccat Kone. In 2005, brand “Roccat” entered the fray of niche peripheral manufacturers with the promise to offer products that would redefine what we know as performance gaming. They currently have a fairly small product lineup, offering a number of gaming headsets, a laptop carry bag, a keyboard and of course the Kone mouse. When I visited their website to find out more about the themselves, I was baffled to find no point blank mission statement or objective. Instead, I was presented with a story about the discovery of a peculiar glowing substance within the depths of Finland's Lake Inari, which was said to be the cause of a chain of mysterious events. The story was there to convey the notion that the designers at Roccat Studios are putting together much more than just a portfolio of computer peripherals for the average PC user, but infact a unique arsenal of equipment that embrace something truly special. Again playing on the same ideas, Roccat suggests that gaming without their products is like an “arctic winter without the deathly cold” and that opting to buy their products will give users their very own slice of mystical pie that unleashes the powers of Lake Inari's glowing material from within. 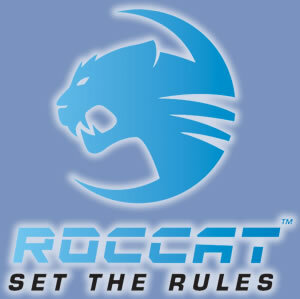 Now, marketing spiel or not, the line of thinking that Roccat seem to be trying to convey to the reader is one that is very much akin to a brand whose goals include setting the standard in their target markets rather than fighting from the sidelines along with the flocks of smaller “me too” brands that will merely build upon competitors' successful formulae. Naturally, we want to see whether or not the Kone mouse is worthy of wearing that aggressive Roccat badge, a badge that is meant to signify a company with very high standards. So without further a do, the specifications of the mouse are as follows. •	Right handed mouse design. Looking purely at technical specifications that can be compared with other mice, what we have here is a 3200dpi mouse that it capable of a polling rate of 1000Hz and a response time of 1ms. The pricing of the Kone positions it well above the value for money OCZ Behemoth mouse and in line with the comparable Logitech G9 and Razer Lachesis, which features a superior 4000dpi sensor.